IN THE MIX WITH HK™: MUSIC HAS TAKEN OVER THE FLAT SCREEN! 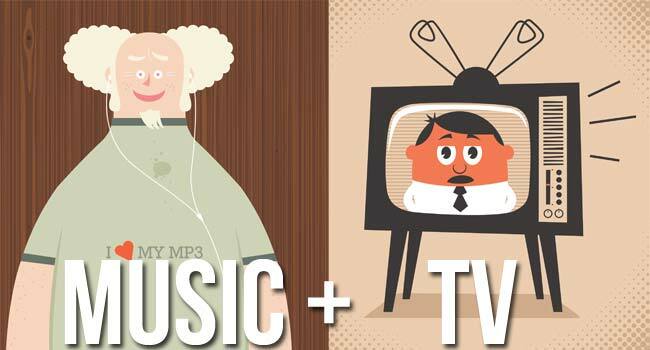 Music has always been a factor on the flat screen. But now music related shows of all genres are popping up more than ever. For a while now Nashville, Glee and a long list of music competition shows have been huge. But last week Galavant a medieval musical fairy tale with songs by eight-time Oscar winner Alan Menken aired on ABC. Next week Angela Basset makes her directing debut (despite much Houston family criticism) with Whitney a Whitney Houston biopic to air on Lifetime. Jimmy Fallon's Lip Sync Battle is getting a spinoff show (thank you music gods) in April on Spike TV with LL cool J as host. Then there’s Empire, the new FOX musical soap that dropped this week staring Terrence Howard. Giving the show Hip- hop cred is none other than multiple Grammy-winning producer-rapper Timbaland as song writer and producer. Before or after you binge out to the TV, I’ll be blowin’ up your speakers with custom HK remixes on Selena Gomez – The Heart Wants What It Wants, Calvin Harris featuring John Newman – Blame, Ariana Grande and The Weekend – Love Me Harder, Fall Out Boy – Centuries, Hozier – Take Me To Church, Fifth Harmony – Sledgehammer and new music from Hoodie Allen, Vance Joy, Priory and Imagine Dragons.